Greg Smith is a well known Twin City railroad photographer, historian and modeler. Greg started taking pictures in the Twin Cities and around Minnesota in the mid-to-late 1960s. His photos have appeared in numerous books, slide shows and online. 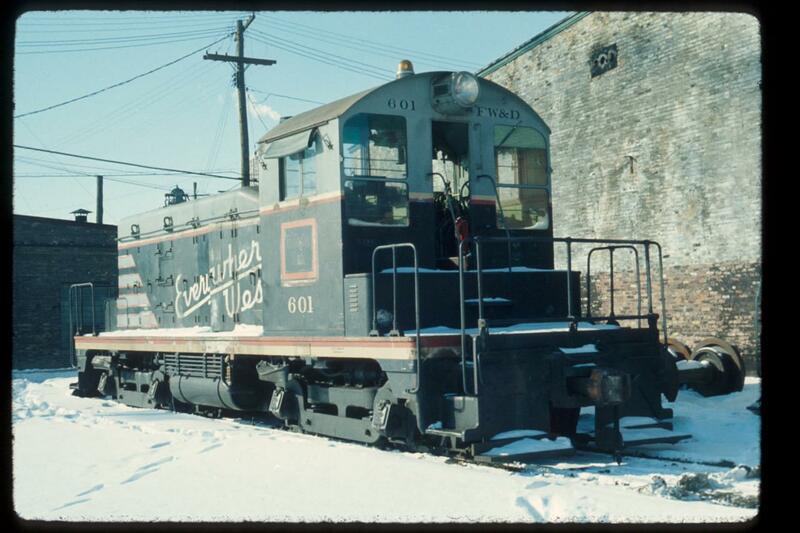 On a snow covered day in 1972, Greg happened to catch Fort Worth & Denver 601 sitting on the whisker tracks outside the former Great Northern Minneapolis Junction Roundhouse. 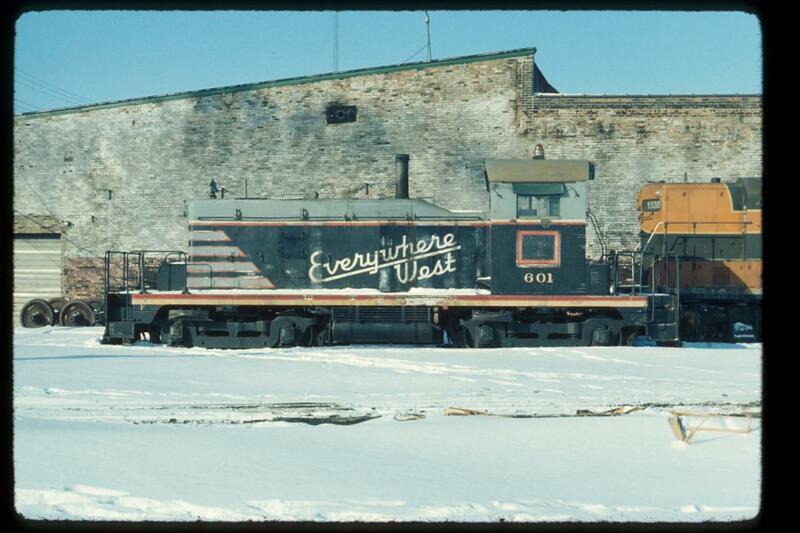 FW&D 601 would soon be renumbered Burlington Northern 103 and shortly thereafter sold to Northern States Power Company becoming its NSP 4. NSP 4 gained a "cult following" amongst Twin Cities railfans in the 1970s and 1980s working NSP's High Bridge power plant in St Paul, MN along the Mississippi River. It was popular to try and get a photo through the fence of the elusive EMC switcher in its unique black paint featuring NSP's "spokesman" and mascot, Reddy Killowatt. Greg had no way of knowing in 1972 when he took these photos that in 2014, this little 1940 EMC SW1 would be alive and well at Gopher State Railway Museum in New Prague, MN. Thank you Greg for sharing your photos with GSRM and its friends. 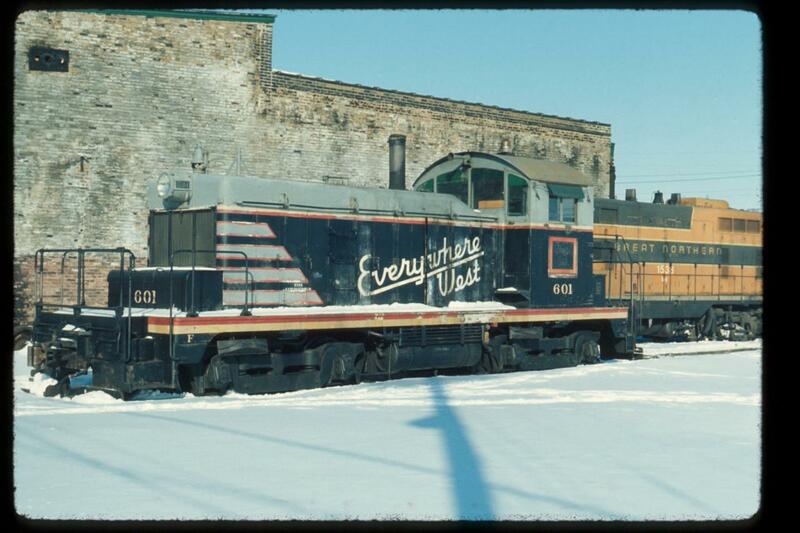 You can find more of Greg's great Twin Cities railroad photos on Facebook and a number of railfan photo sharing websites. The roundhouse featured in the background was at one time a busy Twin Cities junction on the Great Northern in Minneapolis, MN. It sat in the middle of a wye that formed a junction of lines coming from the Great Northen Minneapolis depot to the east, Wilmar to the west and Duluth to the north. In the steam era, passenger power was typically serviced at the Jackson Street Roundhouse in St Paul, while freight power called "The Junction" home. By the 1960s, the roundhouse had lost a few of its stalls, but the GN built a long blue, steel building for servicing diesel locomotives. 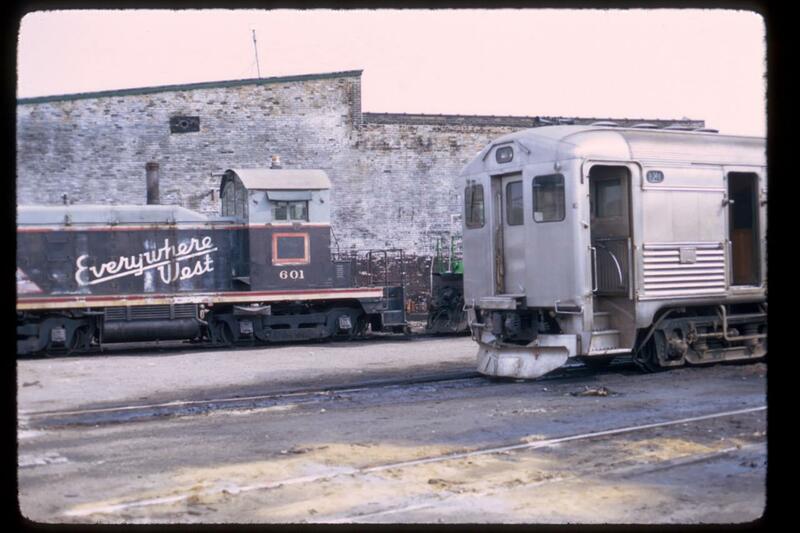 In the mid-1970s, after Burlington Northern consolidated all its locomotive facilities at the newly rebuilt Northtown Yard in Fridley, MN, "The Junction" was downgraded to mainly storage. In the mid-80s, the facility was sold to the Chicago & North Western and the location was renamed "Harrison Street". The C&NW used the facitlity for a number of years until a fire took out what was left of the old roundhouse. The turntable was removed and now operates at Minnesota Transportation Museum's Jackson Street Roundhouse facility. Today, the diesel shop and a few yard tracks are all that remain of the once busy Great Northern terminal, but it's not dead yet. Minneapolis Junction/Harrison Street is alive and well thanks to the Friends of the 261 steam program. Milwaukee Road 4-8-4 261 resides and is serviced inside the old diesel shop. The yard tracks outside are filled with the Freinds passenger car fleet. For more information on MILW 261, check out their website 261.com.